It is believed that the Tulli Papyrus is the best evidence of ancient flying saucers in the distant past, and for some reason, historians have questioned its authenticity and meaning. Like many other ancient texts, this ancient document tells an incredible story, one that could change the way we look at our past, our future and present. 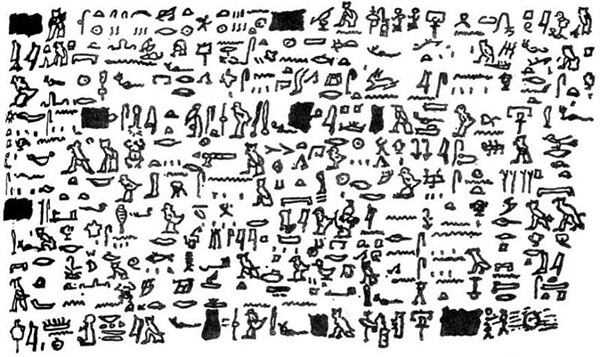 It is believed that this ancient document, which in fact isn’t a papyrus actually, offers the earliest citation of flying saucers on the planet. The Tulli “papyrus” is a translation of a modern transcription of an ancient Egyptian document. According to this ancient text, the Pharaoh that ruled over Egypt was Thutmose III, and this mass UFO sightings happened around 1480 BC. It was recorded in history as a day of great importance, a day that something unexplainable occurred. This incredible and historical event was described as being silent, but with incredible views of mysterious flying disks highly reflective, shining like the sun. According to this ancient text, the departure of the otherworldly visitors was marked by a mysterious event, as fish rained down from the heaven. Even though this ancient text does not mention whether the ancient Egyptians did in fact establish contact with the otherworldly visitors, it is nonetheless a very important day in history, both for humanity and the ancient Egyptian Civilization. It is important to mention that it is very unlikely that the ancient Egyptians misinterpreted these “fiery disks” with some sort of astronomical or weather phenomena. The Ancient Egyptians were experienced and gifted astronomers, and by the year 1500 B.C., they were already experts in the field, meaning that they would have described an astronomical phenomena in a much different way. Also, in this ancient documents, the “fiery disks” are described as they changed directions in the sky, so we know that these objects didn’t fall, but remained in the Egyptian Sky. Is it possible that the Tulli Papyrus is in fact located in the archives of the Vatican Museum? Hidden on purpose from the people? If so, why? Is it possible that this is one of the best recorded ancient UFO encounters in history? And if so, is it possible that these otherworldly visitors influenced the ancient Egyptian civilization as Ancient Astronaut theorists believe? The time before 3000 BC, the date when the first official Pharaoh appeared in Egypt is a great enigma. Previous Article← Science Confirms: People Are Capable Of Super Human Abilities Using These Ancient Techniques!